My ideas are now oriented to step down ICs able to output negative voltage from a positive one... I guess something around -18V should be enough to be understood by the driver. Assuming the -24v is a control input, so doesn't need much current, and only needs approximately -24v, then a cheap, quick and dirty way is to use a charge pump. Like this. What's drawn as an opamp is any circuit capable of making a rail to rail square wave. The output is unregulated, and drops with increasing current. If you do need exactly -24v, then you can use a 2 stage charge pump and regulator. If you need more current than a few mA, then it's worth going to a magnetic solution, an inverting boost, rather than a charge pump. An easy way is to use a DC-DC converter with an isolated output. For example, an PDS1-S24-S24-S. This particular one, while cheap, has a minimum output load requirement of 4mA so add an LED indicator or whatever if your load is insufficient (the consequence of insufficient loading is that the magnitude of the output voltage rises above the expected value). 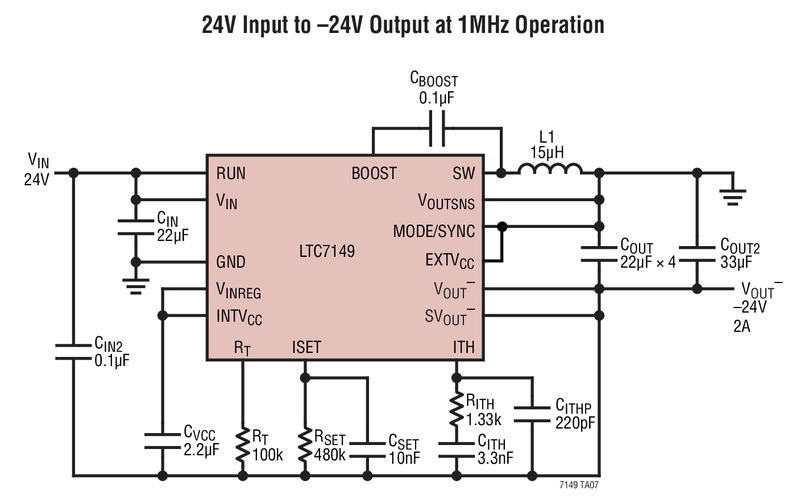 What is the simple way to produce a -24V voltage source from a 24V or lower one? You don't have to produce a new source. Because +24 and GND/0V is just a name for a potential we can switch the postitive and negative potential to get a negative voltage. Connect the "0V/GND" for your -24 Voltage to +24 and your -24V connector to 0V/GND. Not the answer you're looking for? Browse other questions tagged voltage negative 24v reverse or ask your own question. Gadgeteer voltage sensor that can measure up to 8000 volts?